The Russian Orthodox Church said Monday it is breaking ties with the Istanbul-based Ecumenical Patriarchate over its decision to grant independence to the Ukrainian church, which Moscow does not recognize. "A decision has been made to rupture full communion with the Constantinople Patriarchate," which means priests from the two churches cannot serve and worshipers cannot take communion together, Hilarion, the bishop in charge of the Russian Orthodox Church's diplomacy, told journalists in Minsk. Speaking after a meeting of the Holy Synod, or decision-making body, of the Russian Orthodox Church, Hilarion said it does not recognize the decision taken last week by the Constantinople Patriarchate. Since Moscow's annexation of the Crimean peninsula in 2014 and the ensuing conflict with pro-Russia separatists in east Ukraine, Kiev has been wary of the influence of the Moscow Patriarch Kirill, who is an avid supporter of Kremlin's policies. Ukrainian President Petro Poroshenko this year asked the Constantinople Patriarch Bartholomew to make a decision in favor of an independent church for Ukraine, a prospect that the Russian Orthodox Church had rejected outright. Moscow considers the Kiev Patriarch Filaret to be a schismatic, a view Constantinople had backed since the 1990s but reversed last week amid the drive by Ukraine for its own Orthodox Church independent from Moscow. The Constantinople Patriarchate, a leading Orthodox authority, also overruled its own decision from the 17th century which adjoined Kievan Orthodox churches, or the Kievan Metropolis, to Moscow. Most of the Orthodox parishes in Ukraine have historically been under the umbrella of the Moscow Patriarchate, and many of these may eventually switch to the new independent Ukrainian Orthodox Church, despite Moscow's wishes. Hilarion said the decision by Constantinople to pronounce the entirety of Ukrainian churches as independent from Moscow "goes against historical truth" as the Kievan Metropolis of the 17th century corresponded to a different geographical area. He added that Constantinople's decision effectively creates a religious schism. "We cannot be in communication with this church," he said. "We hope that common sense prevails and that the Constantinople Patriarchate changes its mind." The decision in Istanbul was "illegal and canonically worthless," and means that "we will not be able to hold religious services together with the Constantinople Patriarchate... and worshipers will not be able to take communion in Constantinople Patriarchate's churches," Hilarion said. Many monks of the Russian Orthodox Church live and work in important monasteries under Constantinople, notably on Mount Athos in Greece, and many Orthodox sites in Greece and Cyprus are important pilgrimage centers for Russian Orthodox believers. Moscow has expressed concern over the past months that a decision to grant Ukrainian Orthodox Church independence would lead to physical confrontations in Ukraine over some of its most iconic Orthodox landmarks, such as the Kiev-Pechersk Lavra monastery which is used by the Moscow Patriarchate. 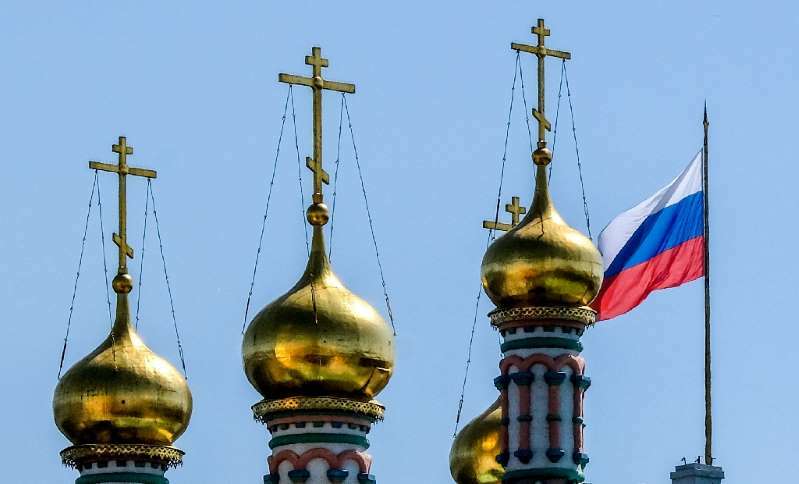 The Kremlin last week said that in case of "unlawful" and violent events, it would protect the interests of Orthodox believers through "political and diplomatic" means. On Sunday, Poroshenko said that "there would be no pressure" and any believer would "choose his own path to God," but stressed that an independent Ukrainian church goes hand in hand with its political sovereignty. "It's an issue of Ukrainian independence. It's an issue of Ukrainian national security. It's an issue of Ukrainian statehood," he said. Hilarion said Moscow "hopes for common sense" and that Poroshenko will fulfill his promise. "We hope that there won't be any clashes," he said.